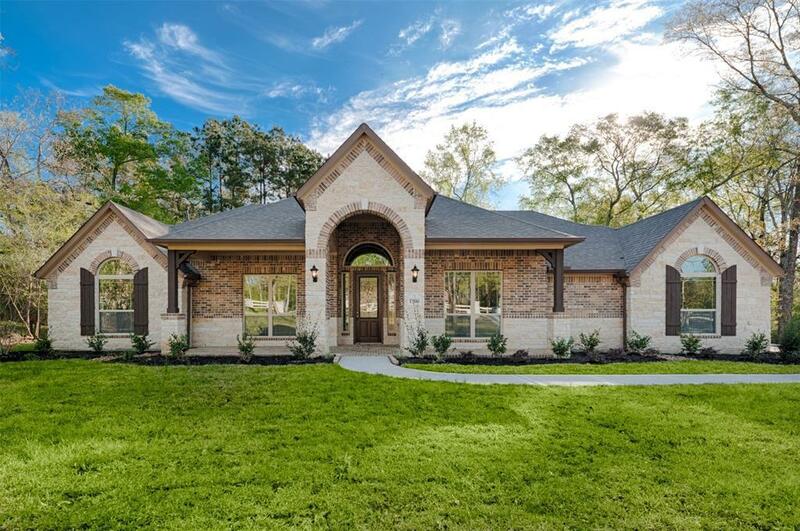 SPECTACULAR New 1 Story Home! One acre wooded lot! Beautiful home with stone entry monuments at driveway entrance. 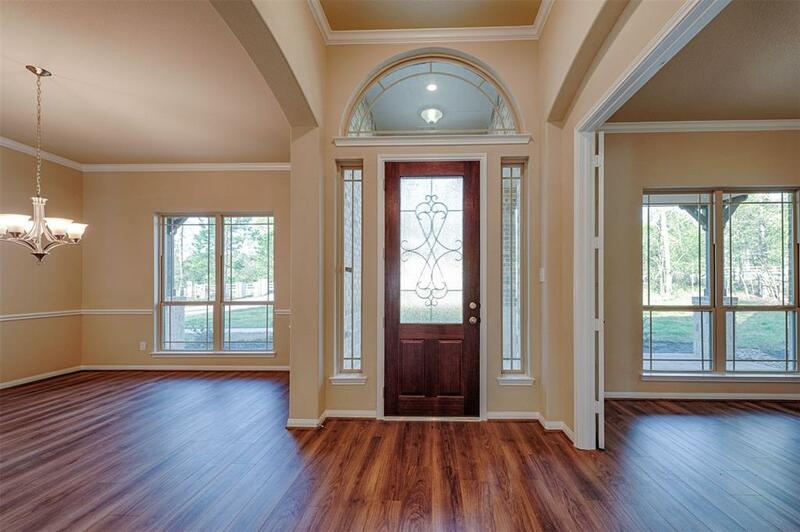 ''Montgomery Floor Plan'' Home features covered front porch, elegant formal dining with crown molding and chair rail. The living area boasts a wood burning fireplace. Open island kitchen w/granite counters, 42 inch painted/glazed cabinets, tiled backsplash, stainless Texas Stack package II, serving/breakfast bar and breakfast area. Fabulous master bedroom, master bath w/double sinks, tub, separate walk in shower, walk-in closet. Covered patio with gas stub-out. Tiled wet areas. 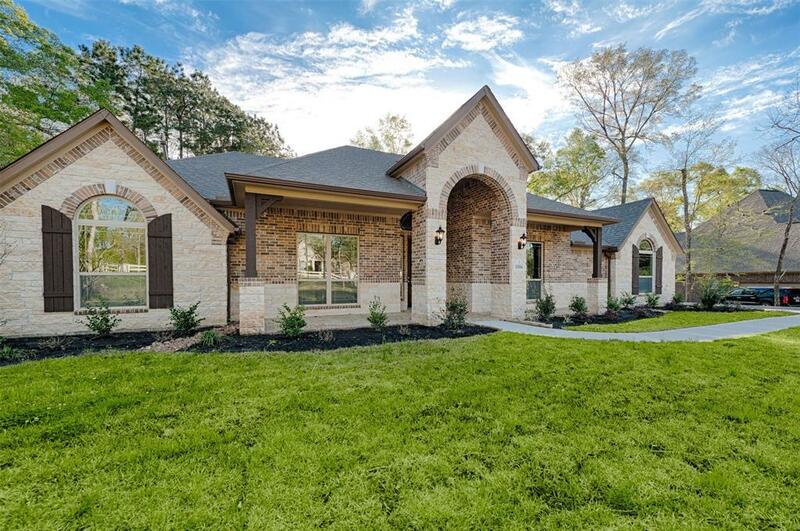 Rigid core flooring in entry, extended entry, study, dining, kitchen, breakfast, utility, powder, family and hallways to bedrooms! 3 Car side load garage with opener. Radiant Barrier. 16 Seer A/C. 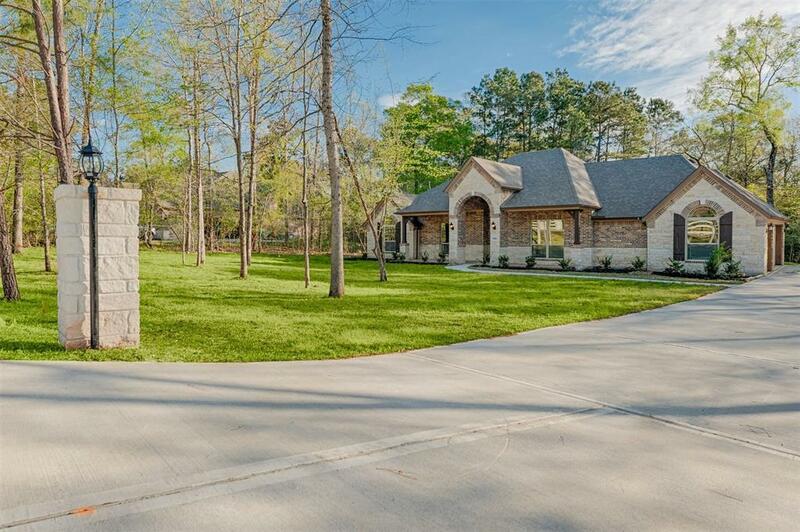 Minutes to I-45, Shopping, & Restaurants. A definite must see! CallToday before its gone!